A Crown Court judge has given a warning to drivers after a Sussex woman was jailed for killing two men by careless driving. Judge Christine Laing QC - the most senior criminal court judge in Sussex - spoke of the 'devastating consequences' of driving carelessly. She made the comments as she sentenced Emma Downs today for killing to young men by careless driving near Lewes. 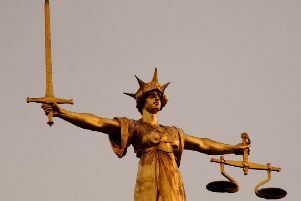 Downs, 38, of Sussex View Close in Crowborough, was jailed for three-and-a-half years. Judge Laing, who sits at Lewes, Hove and Brighton Crown Courts, said Downs' efforts to deceive the jury were 'pitiful'. Tturning to the wider issue of driving, judge Laing issued a warning. “This case is once again a powerful reminder of the responsibility of all of us who drive. “The responsibility that we bear when we get behind the wheel of a car. “That responsibility includes making a personal assessment of whether we are fit to be driving.